Boracay may be known as a party beach (although the recent cleanup and reopening seeks to drastically change this), but it has always been a favorite destination for families, too. 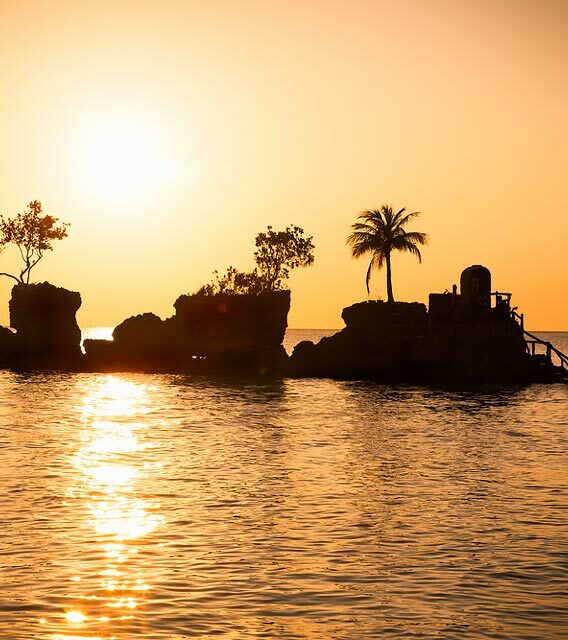 The key to having the most memorable and enjoyable experience with the family on the island is choosing the best hotel with accommodations, location, amenities, and activities that every member will enjoy—kids and parents alike. 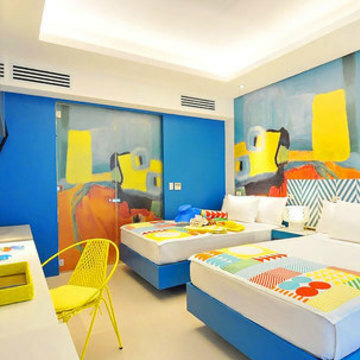 To save you from being overwhelmed with finding the right one among so many options, we rounded up the eight most family-friendly hotels in Boracay. We also highlighted the best thing about each one, so you can easily decide what suits your group. 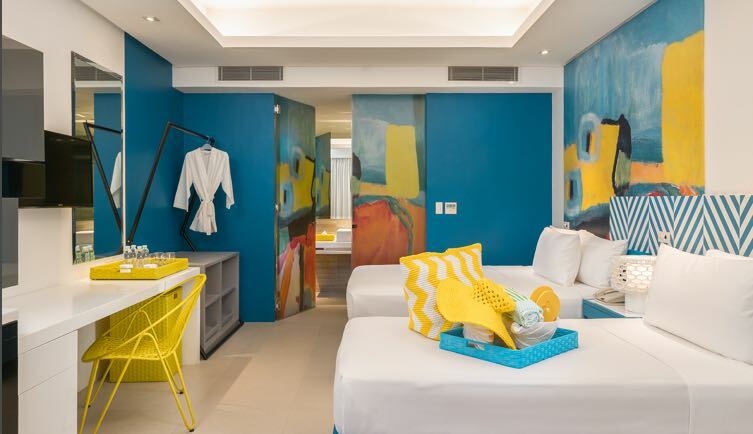 This contemporary resort’s youthful and colorful vibe will put every member of the family in the best vacation mood. 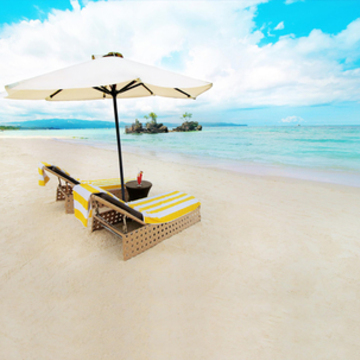 Nestled in the island’s hip yet secluded new 150-hectare village resort, Boracay Newcoast, the tranquil beach is just a short walk away. 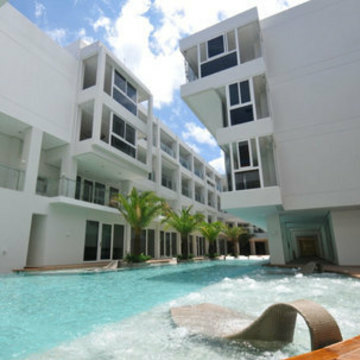 The vibrant 500-room establishemt has a large main outdoor pool with a bar, where parents can order refreshing cocktails to sip while they sit on one of the surrounding paved sun loungers as the kids swim and play. 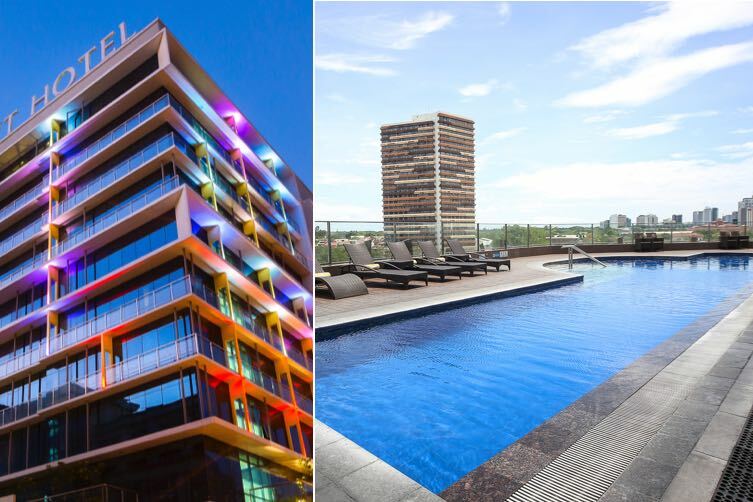 And if the kids are old enough to have their first taste of partying—at least with their parents around—they’ll be glad to know the hotel is ready with an outdoor stage for live entertainment and a super fun party pool! 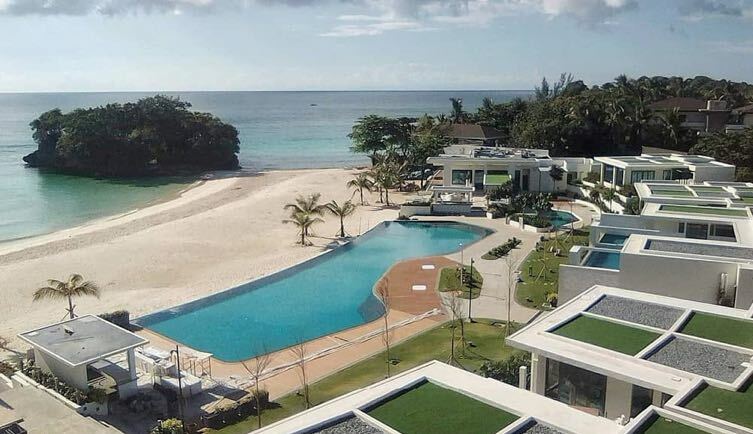 Plus, here’s a little bit of incentive that will make Dad decide to book at Savoy Hotel for sure: its reasonably-priced accommodations overlook Boracay Golf & Country Club, where he can squeeze in a round at the golf course, perhaps? Bag the best price for a Premiere Deluxe Stay for 2 with Buffet Breakfast! Up to 2 kids may stay in the room for free using existing beds. Get the best of both worlds—as far as the island is concerned—when you stay in one of Astoria Boracay’s well-appointed rooms. Centrally located at the part of tranquil Station 1 that’s closest to hip and happening Station 2 (where you’ll find the bustling D’Mall and lots of bars and restos), families can easily explore the rest of the main White Beach and take a tour of the island’s other beaches, coves, and popular attractions from this relatively quieter spot. The modern yet homey 3,000sqm property itself offers family-friendly amenities, like the chic infinity-style pool right at the center of the resort, surrounded by rows of sun beds and hanging loungers, as well as cabanas that are perfect for catching up on some reading, people-watching, and hanging out as a family. Get a Luxury Room for 4 or a Deluxe Stay for 2 with breakfast and discounts! Up to 2 kids may stay in each room type for free using existing beds. If you happen to be traveling with ‘big kids,’ Astoria Current is a great place to create merry family memories at the ever-vibrant and action-packed Station 3. 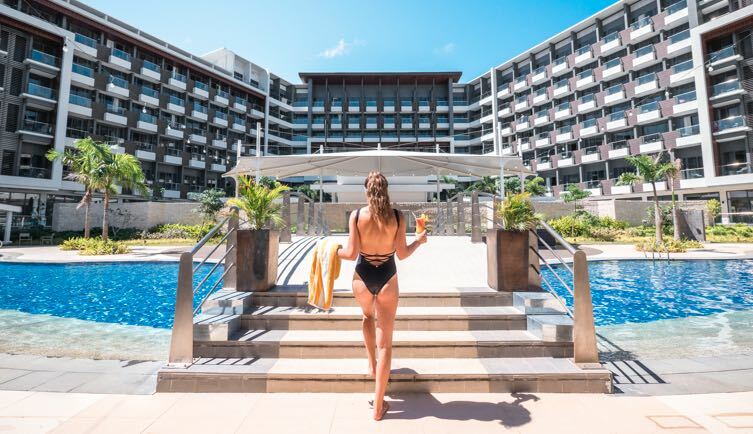 The second beachfront hotel in Boracay under the Astoria Hotels and Resorts Chain is even more sprawling at 7,000sqm, so you’ll have lots of space to unwind with the family. Start at the 25m lap pool with sunken loungers, built-in aqua seats with jet-massage nozzles, and twin acrylic panels that give the main pool its distinctly modern look. There’s also a smaller pool for younger children. 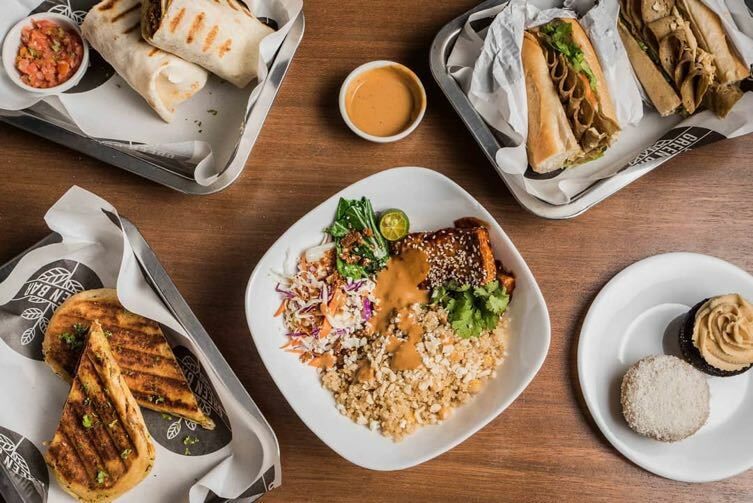 For lunch and dinner, feast on local and international gastronomical delights at Parasol Restaurant, the al fresco dining spot with a beachfront location, while you’re entertained by live performances. 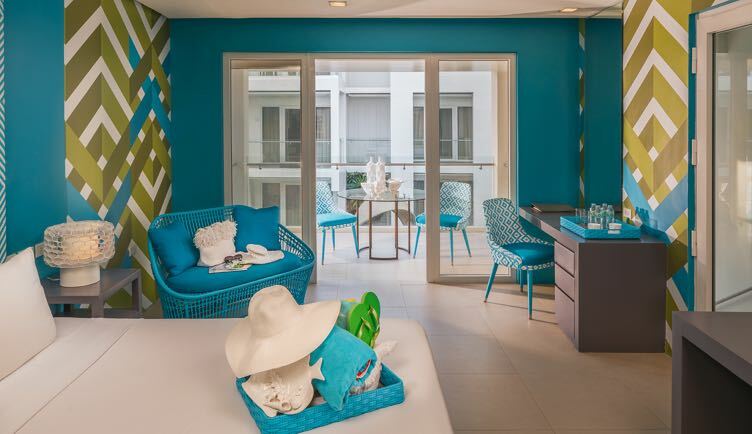 After a day of beach bumming, trying various water activities, and perhaps even checking out nearby party spots—including the resort’s own roof deck bar—you can finally get some well-earned rest in one of its immaculate and capacious rooms. Each one is playfully designed to appeal to the trendy tastes of today’s millennials. Avail of a Deluxe Room for 4 or a Standard Room Stay for 2 with breakfast and discounts! Up to 2 kids may stay in each room type for free using existing beds. 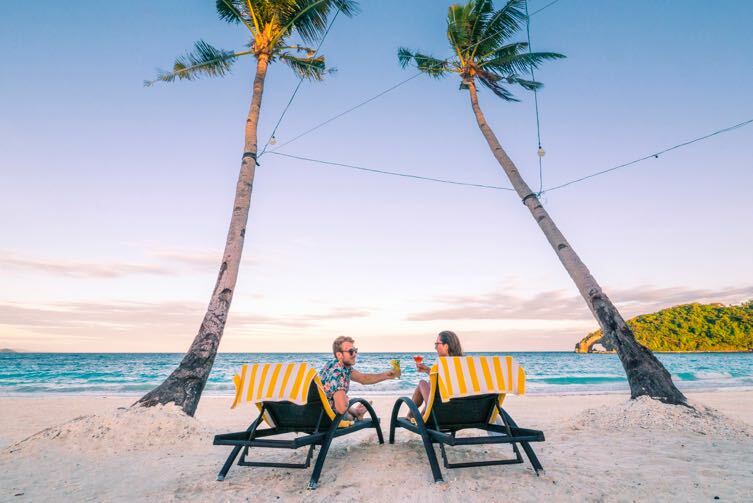 Station 1 boasts the widest, cleanest, most serene, and least crowded part of Boracay’s 4km stretch of powdery white sand, and Two Seasons gives you direct access to this world-famous shore. 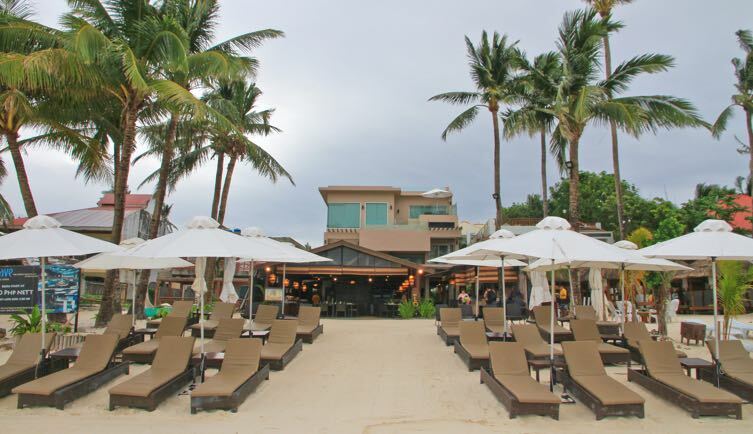 Its beachfront is lined with beach beds from which you can watch the glorious Boracay sunset. 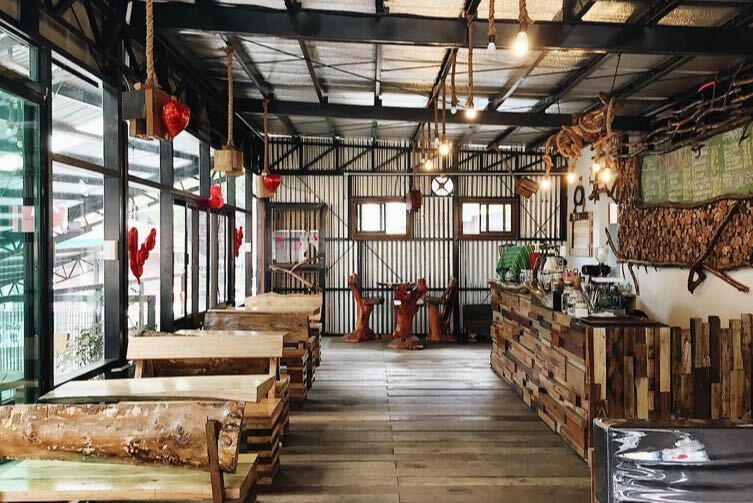 And right behind them is the in-house barLO Resto Lounge, one of the island’s best and most popular restaurants serving eclectic European and Asian dishes. 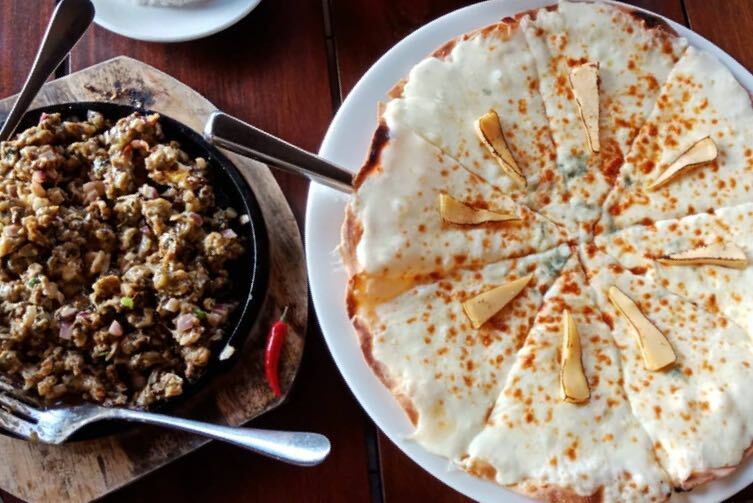 The kids will surely love its famous Four Cheese Pizza! Don’t forget to also try the delicious Oyster Sisig, Chili Fries, and Beef Salpicao. Lounging and playing by the beach would probably be enough to occupy the children, but there’s also a freshwater pool, in case they don’t feel like swimming in the sea. 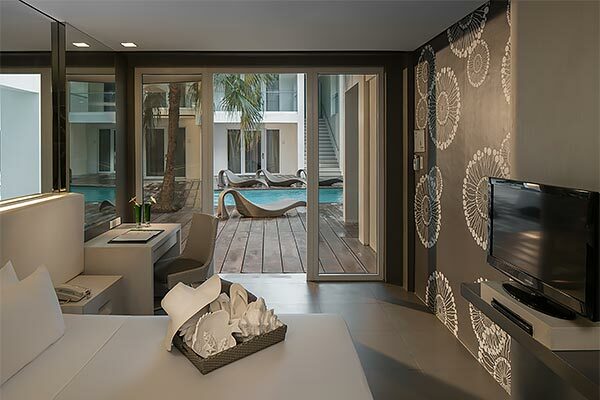 Book one of the eight Family Suites for the most comfortable stay, or request one of the plush beachfront rooms with a balcony and floor-to-ceiling windows for a spectacular sea view. Neighboring Discovery Shores takes being a family-friendly hotel seriously, winning them the 2018 Condé Nast Johansens Awards for Excellence in the Best for Families – Asia category, among others. There’s a complimentary day care center called The Sandbox where children aged 0-12 can play with stuffed toys, board games, and engage in scheduled daily activities like shirt painting and cookie making. 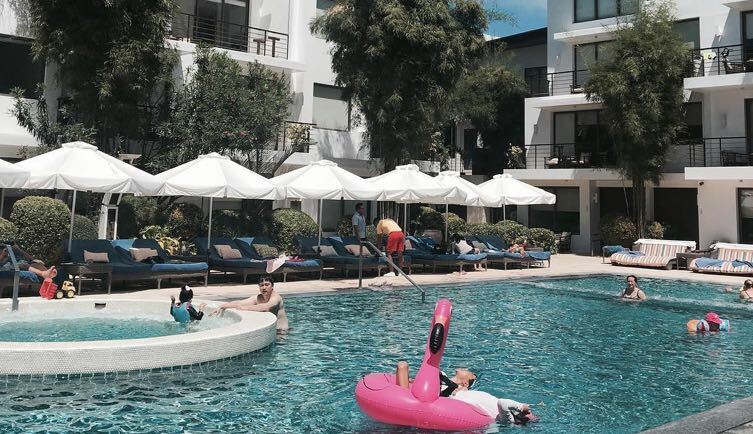 The pool is everyone’s favorite hangout because it has a jacuzzi and swim-up pool bar, and that’s where butlers go around with free snacks, juices, and sweets. 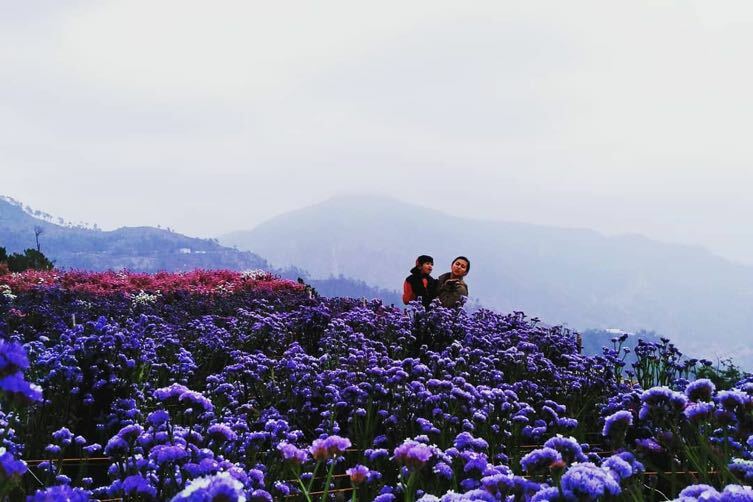 But what keeps guests coming back is the impeccably personalized service and unparalleled pampering they get at this five-star resort in Station 1. Imagine this: butlers set up your lounge bed for you with warm towels, give your kids toys to play with on the sand, clean your sunglasses, spray you with Evian while you lounge by the pool or beach, serve ice-cold pandan-flavored water, and even fix your flip-flops so you can effortlessly slip into them. Offering over 88 sizeable and plush suites, Discovery Shores extends the warmest welcome to its guests—complete with airport pickup and speedboat transfers (with snacks and drinks to boot); a spread of thoughtful treats like fresh and dried fruits, nuts, pastries, and coolers in your suite; plus a free foot wash upon checking in. Total VIP treatment! Want utmost privacy and exclusivity? 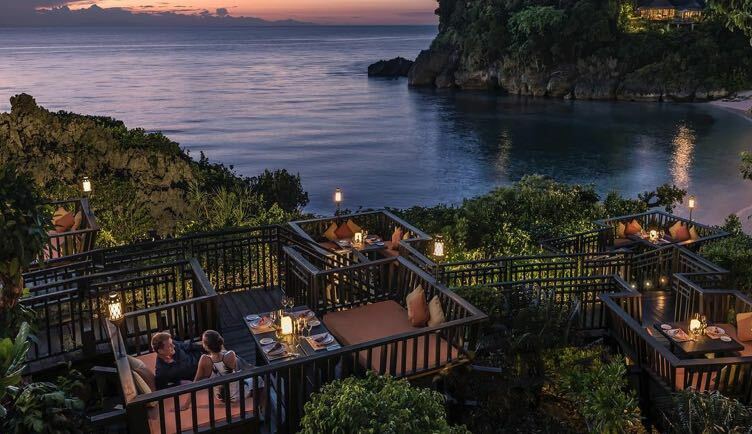 Splurge on a getaway at Shangri-La Boracay. It’s so private that from the airport, you’re brought to the exclusive welcome lounge in Caticlan—no need to go through queues at the public port—and to its own speedboat that takes you straight to the resort. 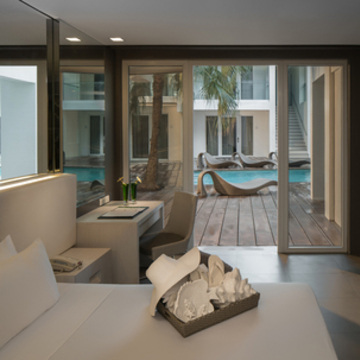 Choose from spacious rooms, suites, and villas, all boasting beautiful views of lush gardens or azure waters. For the most indulgent stay, book one of the villas, the largest of their kind on the island starting at 216sqm, which will serve as your family’s private vacation home. It comes with its own pool, whirlpool, private al fresco dining space, and butler service. Everyone’s favorite attraction is the free-form swimming pool that winds through the property amidst landscaped gardens, bridges, and fountains. 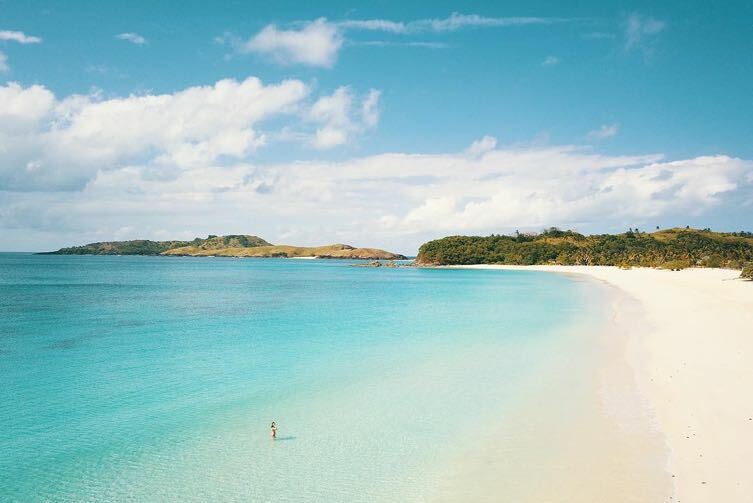 The resort also has two secluded white beaches where the family can sunbathe or enjoy the wide variety of water activities, from kayaking to snorkeling through the resort’s own marine sanctuary. 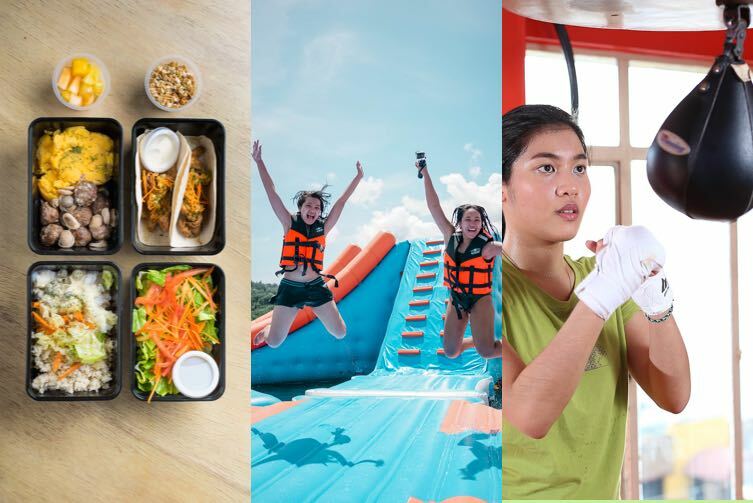 Other fun activities scheduled throughout every day of the week include Pilates, Zumba, yoga, beach volleyball, tennis, fish feeding, Nature Walk, and so much more. 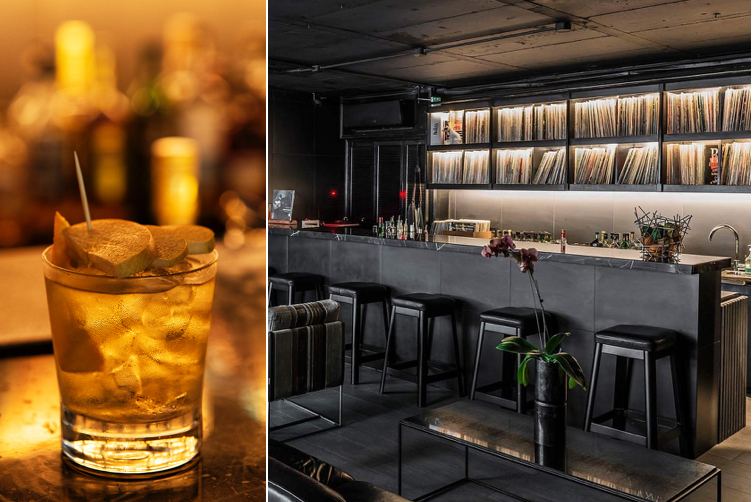 There’s also an Entertainment Centre fitted with video and arcade games, table tennis, karaoke rooms, billiards, and a cinema room. Meanwhile, the kids will love the dynamic indoor playground. There’s never a dull moment at this resort! One of the newest luxury resorts on the island, Crimson Resort & Spa Boracay just opened in March 2018 in the peaceful and remote new area called Station Zero. Surrounded by untouched white sand and cerulean waters, the contemporary tropical haven offers a total of 192 impressive rooms, suites, and villas with their own plunge pool—all spacious enough for the whole family. 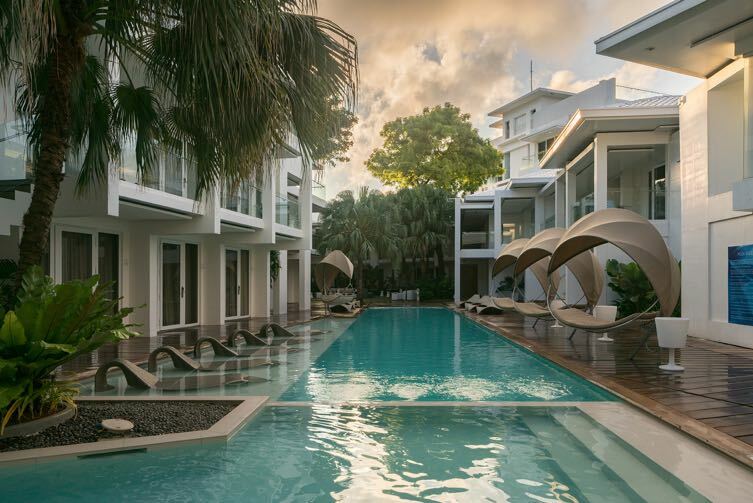 This swanky Crimson installment in Boracay boasts a dedicated indoor and outdoor play den called Crimzone, where kids can hang out safely while parents relax and chill out at facilities like the trendy Azure Beach Club, Pool Bar, or Aum Spa. 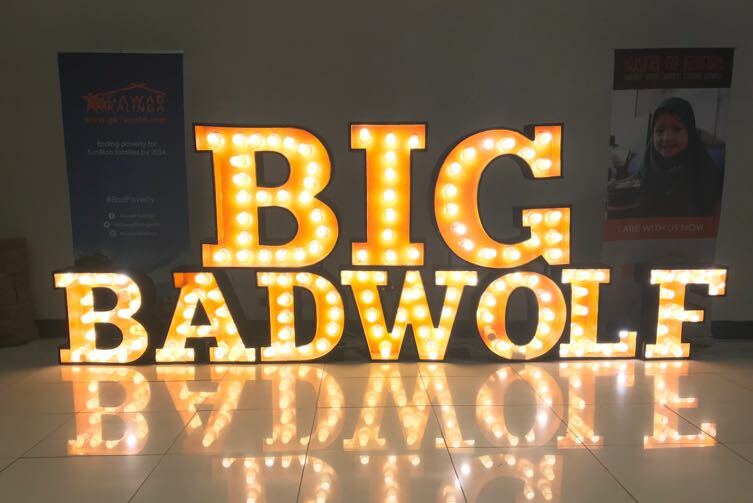 Among the array of complimentary activities at this “adult-free zone” are timeless arcade games, giant Jenga, pirate ship playhouse, kids’ sand crane, sand castle making, story telling, and parlor games. 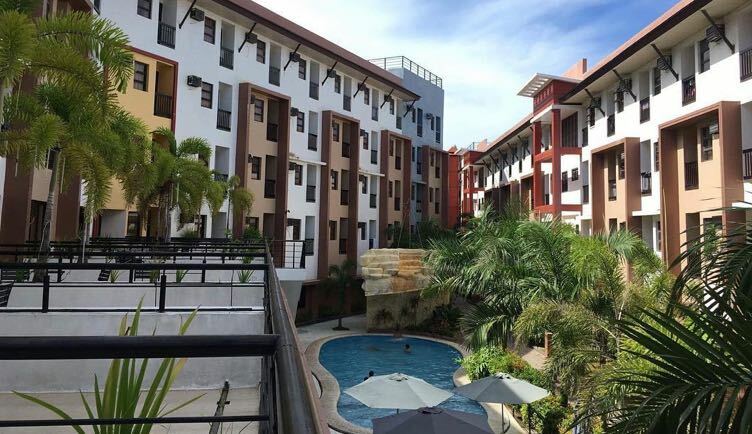 Located right smack in the middle of all the action at Station 2, La Carmela de Boracay has always been one of the go-to hotels on the island for families and big groups because it’s relatively cheaper than other beachfront hotels. That doesn’t mean it scrimps on your convenience. This bright and cozy resort has a wide variety of room options, and all are clean, comfortable, and come with free breakfast. Completing the warm, tropical vibe is a charming swimming pool with waterfalls and a jacuzzi—and an ever-present lifeguard. You can also get your dose of Vitamin D while lounging on the beach right across the hotel or from your room’s veranda. 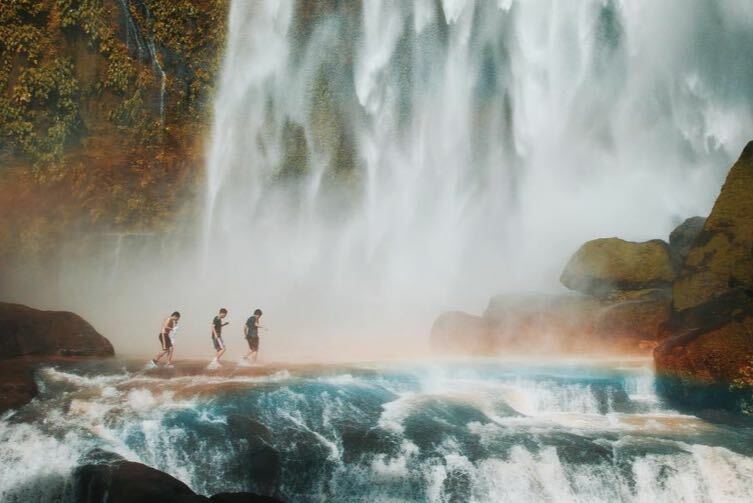 Want to explore more of this enchanting island? 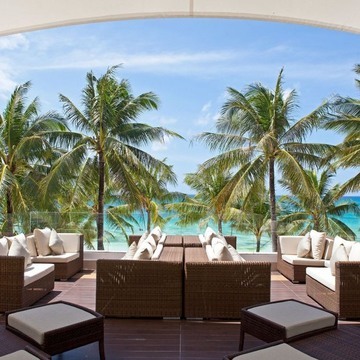 Get inspiration from our Boracay Travel Guide, and check out more best-priced Boracay deals here.